China. Qinghai province. 2009. 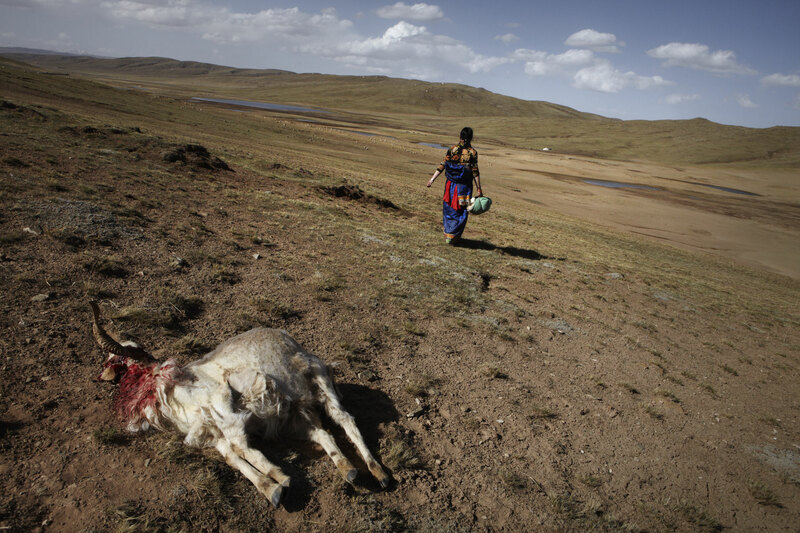 A local Tibetan herder finds one of the family's sheep killed by a wolf. The areas desertification is causing ever larger swaths of grassland to disappear, making their lifestyle all but impossible to continue in the long run.